[toc]Are you staying away from you partner due to bad breath? Embarrassing breath smell is repelling your colleagues from you! Or it is making you conscious while socializing. Don’t worry! you can get rid of it. Let’s us first educated ourselves as why bad breath is caused at the first place. Bad breath may sometimes signals you of underlying health conditions which you may not aware of. So, it is important to learn the reasons behind bad breath. Though the most common reason is the formation of plaque (a thin invisible layer of bacteria) in the teeth bad breath, is also caused due to lungs and gastro intestinal problem, sinus infection, and diabetes. Well, you don’t need to worry as these may only occur in few cases. Others get bad breath either due to formation of plaque or after eating certain foods. And if you have the above health issues then get the proper treatment and enjoy an odor-free breath. Otherwise follow the tips given below to fight bad breath. Do you know that your mouth contains bacteria which count more than the number of cells in your body? Among them, scientists have only been able to identify 700 species of bacteria. The formation of bacteria in the mouth causes bad breath. And the little knowledge about them makes it difficult to fight. However, the best way to get rid of them is by following good mouth hygiene. The food that we feed upon is also a source of nutrition for bacteria. Foods that are stuck between the teeth make the mouth a perfect breeding ground for bacteria. Therefore, it is very important to clean the mouth after every meal with water. However, brushing the teeth two times a day is the best way to prevent germ formation followed by using mouth wash and dental floss. Most people do not bother to clean their tongue regularly. But it has been found that in many cases foul smell from mouth is produced by the bacteria that are thriving in tongue. Yes, tongue is also a favorite breeding ground for bacteria. You must have noticed that mouth smells terrible when you wake up in the morning. This is because our mouth produces less saliva while sleeping unlike during the day when we are awake. Saliva contains natural antibacterial elements that controls the growth of bacteria and washes away any plague formation. And it also contains oxygen that hinders with the growth of bacteria. This highlights that adequate saliva formation is very necessary to control bad breath. And it is only possible if you keep youself hydrated all the time. So, ensure you drink a lot of water throughout the day to stay hydrated. Bad breath may also be caused due to certain medical condition. 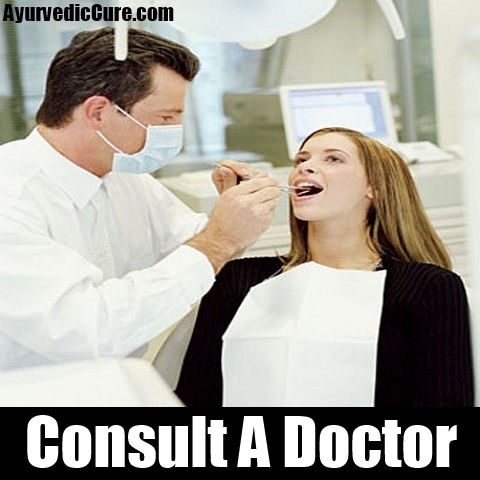 And if the medical problem is the reason for your bad breath then using remedies like chewing gum and mint will only give you a temporary solution. You need to talk to your doctor to fix the medical problem that may be causing bad breath. Sinus infection, bronchitis, diabetes, and malfunction of kidney or liver are some of the medical condition that gives rise to bad breath. Foods that we eat in our daily life may also trigger bad breath. Along with onion and garlic that are popularly known to cause bad breath, there certain other foods too that are responsible for bad breath. 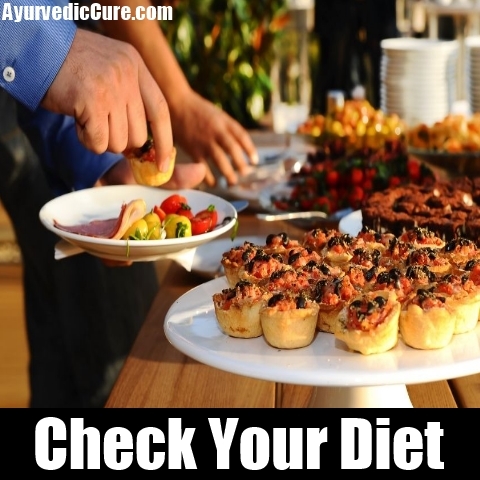 People diet on high protein and low carb foods to control their weight being unaware of the effect it causes on breath. It has been studied that eating lower than 100 gram of carbohydrates a day results in ketosis. Ketosis is the metabolic process of burning fat instead of sugar which causes bad breath. Furthermore, food like meat is also a culprit behind bad breath because meat particles have the tendency to stick between the teeth tightly even if we drink water to shallow the food. They remain in the teeth and act as a breeding ground for bacteria. It is surprising to know that some drinks like coffee, alcohol and acidic drinks such as soda pop causes bad breath. These drinks discharge certain compounds in the blood streams that cause bad breath. Furthermore, drinking acidic drinks lowers the ph of the mouth that makes an ideal condition for bacterial growth. These bacteria releases sulfur compounds that smell like rotten eggs. Therefore, to maintain a proper ph level of the mouth rinse your mouth by drinking plain water soon after consuming acidic drinks. Rinsing the mouth after having meal also works to prevent bacterial formation due to left food particles in the mouth. There are many foods that may help you to fight bad breath. Fruits that are high in vitamin C are exceptionally good for curing bad breath. Vitamin C rich foods such as melons, oranges, and berries make an unfavorable condition in the mouth for bacterial growth. They also help to kill the germs causing bad breath. Moreover, eating fiber rich foods such as apples, carrot, celery and other crunchy fruits and vegetables help to remove foods particle that are stuck between the teeth. These foods also aid in the production of saliva that control bacterial growth. Smoking cigarettes not only causes a number of health problems but also give bad breath. Studies have suggested that smoking cigarettes release a mixture of chemicals into the mouth that causes many oral diseases along with causing bad breath. To top it, smoking cigarettes also facilitate plague formation in the teeth that support bacterial growth. Chain smokers also face dry mouth which form anaerobic atmosphere ideal for anaerobic bacterial formation.